Taiwan based tech giant, ASUS is making quite a splash in the country. The brand recently announced that its ZenFone range of smartphones will now be manufactured in India under the government’s ‘Make in India’ campaign. ASUS rolled out an incredible sand art video announcing the launch in which visuals created by sand take one through several historic exploits and inventions by Indian individuals and institutions right from the invention of Zero, building the world’s largest railway network, to the most economical Mars mission, and Sachin’s 100 centuries in ODI cricket. This month brought in Diwali and with the festival of lights round the corner, ASUS found the right occasion to take its India narrative forward. But, the brand did not want to be lost in the clutter. Diwali like always has the social media flooded with content – visuals, ads, videos and more. ASUS was looking to break through this clutter and build better engagement during the festive season. The brand launched #ZennyKiPehliDiwali, a digital campaign with its popular mascot Zenny as the face. Since his first appearance at the Zen Festival earlier in August, Zenny has gained popularity in India and has come to be closely associated with ASUS’s ZenFone smart phone series. With #ZennyKiPehliDiwali, ASUS took the engagement a step further through activities on multiple social platforms, including WhatsApp. Conceptualized and handled by BC Web Wise, #ZennyKiPehliDiwali took fans on a 3 week trip with Zenny visiting India to explore Diwali traditions and engaged them with unique fun tasks throughout the festive season. Zenny, the owl with a lightning bolt on his body and big, bright eyes boarded a flight to India for his ‘pehli Diwali’. It all began when Zenny shared a picture of him flaunting his boarding pass to India from the ASUS headquarters in Taipei. Soon after, ASUS India released Zenny’s India mobile number on which fans could WhatsApp Zenny and welcome him. Next the brand built on fan engagement with contests; fans were invited to send in videos and pictures on Facebook about their ‘Incredible’ plans to celebrate Diwali and familiarize Zenny with the various local flavours of the festival. In the following week, users were invited to a ‘Zenfie’ selfie contest and submit a Zenfie with someone special without whom their Diwali is incomplete. The contest received an overwhelming response from fans, especially on WhatsApp, allowing the brand to create completely organic conversations with fans on a mass scale. 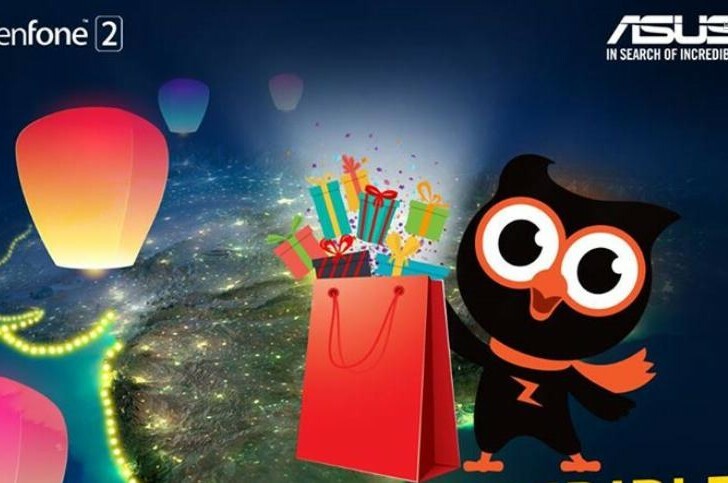 The final contest was organized in the week of Diwali, calling out users to share their most important Diwali wish, after which Zenny would chose 3 lucky winners and make their wishes come true. Post Diwali, ASUS India released an animated ‘Thank You’ video recapturing Zenny’s experience exploring the various traditions of Diwali in different parts of the country. The campaign closed with Zenfans seeing off Zenny at the airport. Zenny, the mascot as the face of the campaign has managed to create a better brand recall for ASUS India and the Zenfone series, during this festive season in the country. It was also a good occasion to familiarize Zenny to his Indian fans. #ZennyKiPehliDiwali made great use of WhatsApp all throughout Zenny’s 3-week trip to India, engaging with bright, cheerful visuals and incentive-laden contests. The case study highlights how Whatsapp can be used as an engagement tool along with support from other social media platforms.